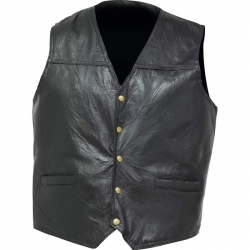 The Giovanni Navarre(R) Italian Stone(TM) Design Genuine Leather Vest is simple, classic styling and the perfect complement to your bike. 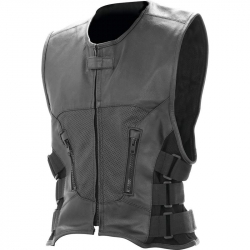 Fully lined to keep warmth where you need it, at your core, the Giovanni Navarre(R) vest features 2 watch pockets to carry small essentials. 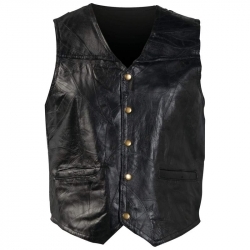 Accented with 5 snap front buttons. 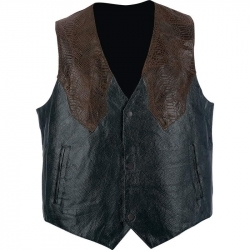 The Giovanni Navarre(R) Hand-Sewn Pebble Grain Genuine Leather Western-Style Vest is a stunning combination of brown faux snakeskin shoulders and chest over a pebble grain black leather vest body. 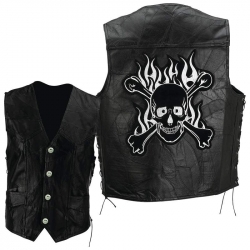 Features 2 front slash pockets, black snaps, and a full lining. 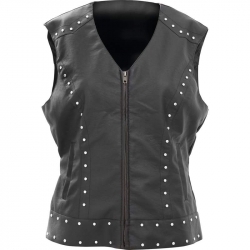 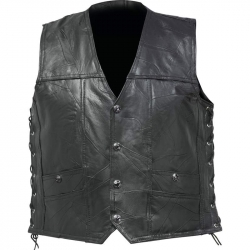 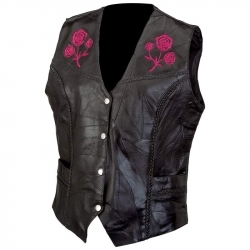 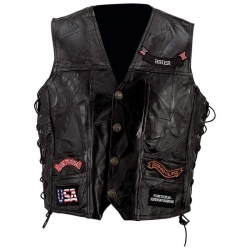 The Diamond Plate(TM) Ladies' Rock Design Genuine Leather Vest features multiple patches, black snaps, two exterior front pockets, and lace-up sides for adjustable comfort. 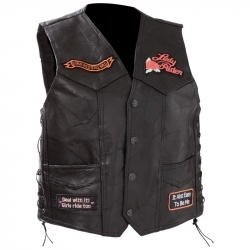 Embroidered cloth patches on the front read: "Born Wild Still Wild", "Lady Rider", "It Ain 't Easy To Be Me", and "Deal with It! 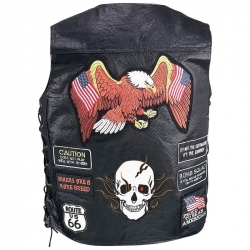 Girls Ride Too". 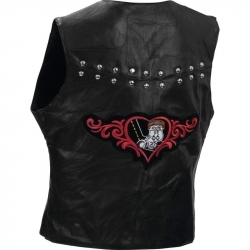 Vest back patches read: "Love to Ride", "I 'm Perfect Just the Way I Am", "I 'm Not Spoiled... 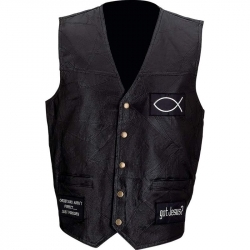 I 'm Just Rewarded! 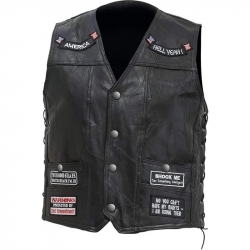 ", "High Maintenance", and "Life is Good". 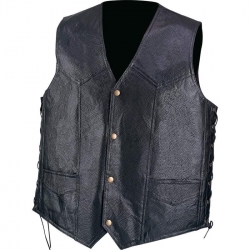 Features antique finish snaps, 2 interior gun pockets and 1 interchangeable holster.